● Started 31st, finished 19th. 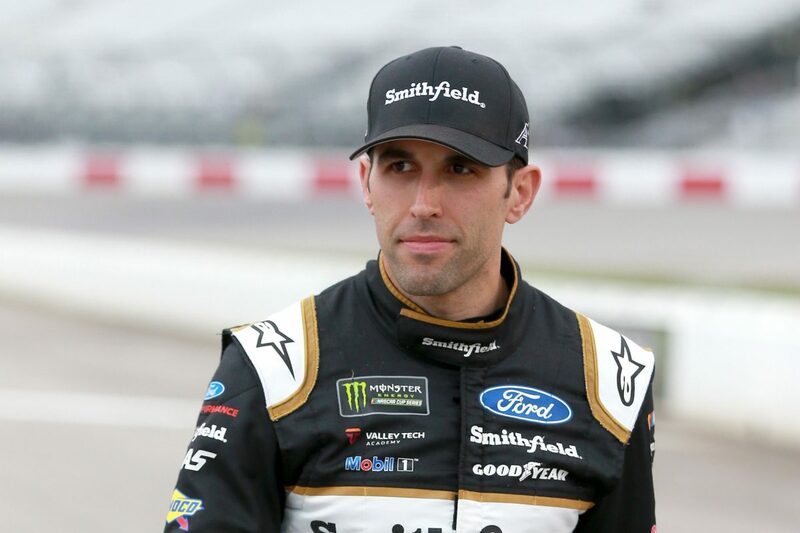 ● Aric Almirola drove the Smithfield Get Grilling America Ford Mustang to 25th place by lap 28. ● During the competition caution on lap 40 he noted loose-handling conditions and said he needed more drive off of the turns. He pitted for four fresh tires, fuel and chassis adjustments. ● Almirola said the front end of his No. 10 Ford felt too high and caused him to race too tight in traffic. ● He pitted at the end of the stage for four tires, fuel and wedge and air pressure adjustments. ● Started 23rd and finished 16th. ● On lap 115, Almirola made slight contact with the No. 42 of Kyle Larson when his right-front tire was smoking. ● Almirola was scored 19th before a caution on lap 127. He pitted for four tires, fuel and adjustments and advanced to 17th. ● He entered the top-15 on lap 171 but said he needed to turn better off the corners. ● Almirola pitted the No. 10 Smithfield Ford for four more tires, fuel and adjustments. ● Started 19th and finished 23rd. ● Almirola raced as high as 14th until he pitted under green-flag conditions on lap 247 for four tires, fuel and adjustments to help his racecar turn better into the corner. ● When exiting pit road he was assessed a speeding penalty that put the Smithfield Get Grilling America Ford a lap down in 22nd. ● During the closing laps, Almirola was called back to the pits from 18th due to the No. 10 Ford not having enough lug nuts.